“If India conducts a surgical strike such a response would be given that the country would not even dream of it,” the minister said in a fiery speech during the Senate session. Pakistan’s Defence Minister Khawaja Asif on Monday warned India of a “befitting response” if it dared to carry out surgical strikes inside his country. Asif also claimed India does not want to continue the process of negotiation with Pakistan and reduce the tension. 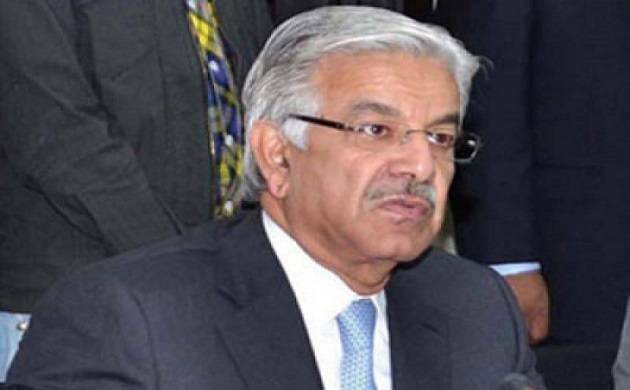 “If India conducts a surgical strike such a response would be given that the country would not even dream of it,” Asif said in a fiery speech during the Senate session. He was speaking on a motion moved by Senator Sehar Kamran regarding the situation arising out of the alleged Indian violations of the Line of Control and ceasefire on the Working Boundary, resulting in the loss of precious lives. He claimed that India was making failed attempts to link the Kashmir insurgency with cross-border infiltration and terrorism, Radio Pakistan reported. The minister claimed that India carried out 330 ceasefire violations including 290 on LoC and 40 on the Working Boundaries till December last. He said 45 Pakistani civilians were killed and 138 injured in the violations. He said the frequency of the violations have been reduced after December. The minister said the violations were effectively responded by the armed forces of the country. He said these violations were reported to United Nations Military Observer Group at the Line of Control and Working Boundaries to appraise the UN for investigations. The Ministry of Foreign Affairs also raised the issue at the diplomatic and bilateral levels, he added. Earlier this month, Pakistan’s Army Chief Gen Qamar Javed Bajwa had said his forces are fully geared to respond to “any aggression” by India. “Pakistan’s armed forces are fully geared to respond to any aggression by India,” army spokesperson Major Gen Asif Ghafoor had quoted Gen Bajwa as saying. Ghafoor also tweeted that Gen Bajwa rejected the “self-defeating claims” of Indian Army Chief Gen Bipin Rawat about ‘so called surgical strikes’ and its possible recurrence. India maintains that its forces in September last year conducted surgical strikes in Pakistan-occupied Kashmir, targetting terrorists and destroying their training camps. Gen Rawat, who took over as the 27th chief of Indian army on December 31, had said India will give a calibrated “hard” response to terror activities that will compel Pakistan to completely rethink its strategy on supporting insurgency and terrorism.